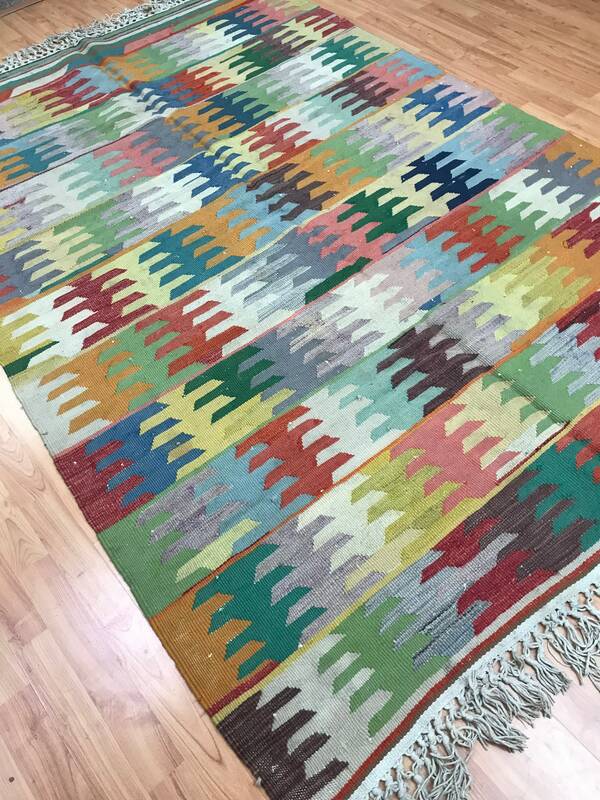 Actual Size: 5' x 7'3"
This gorgeous Oriental rug is a semi antique 5’ x 7’3" Turkish Kilim circa 1960s. 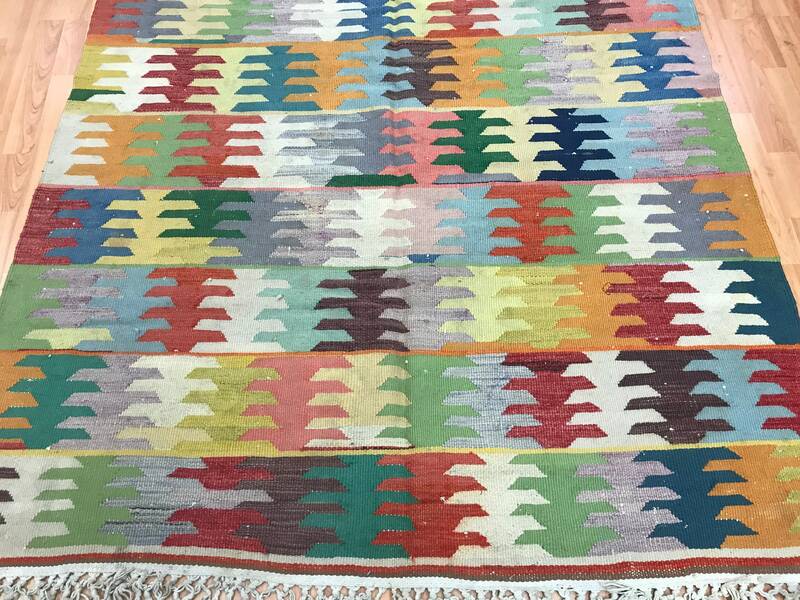 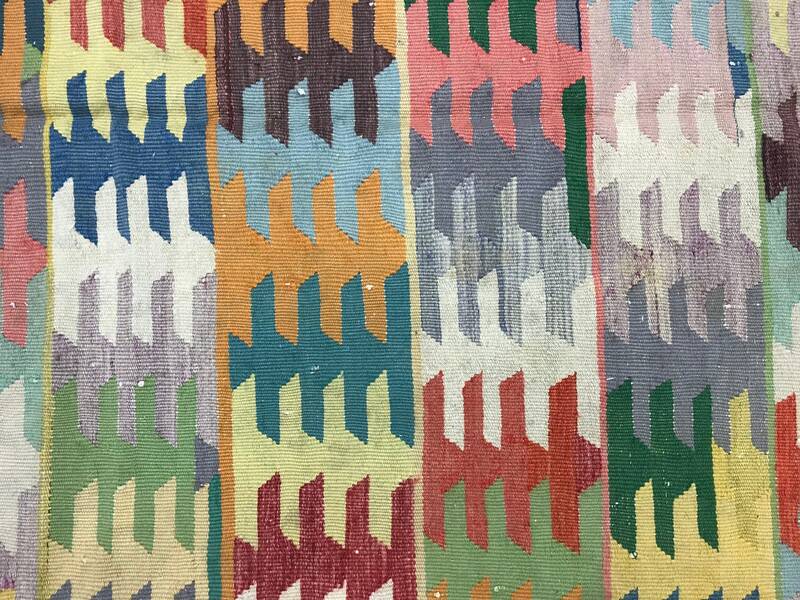 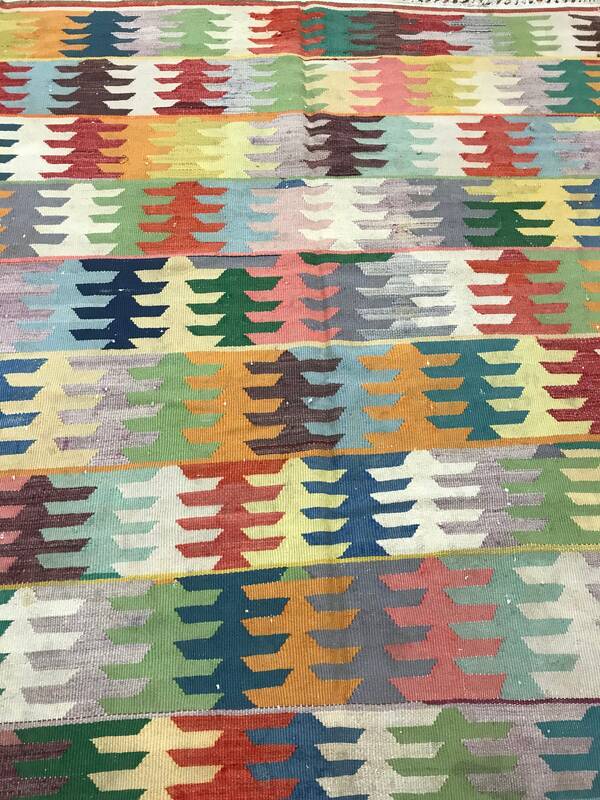 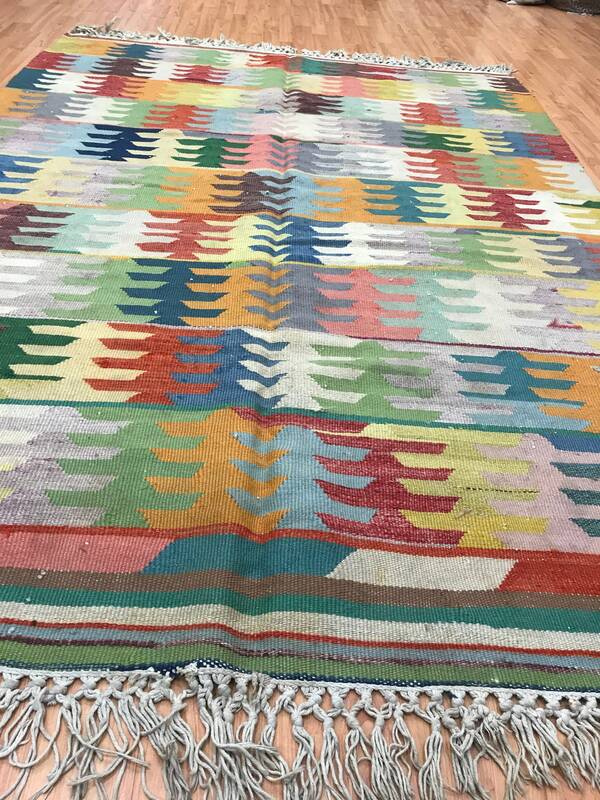 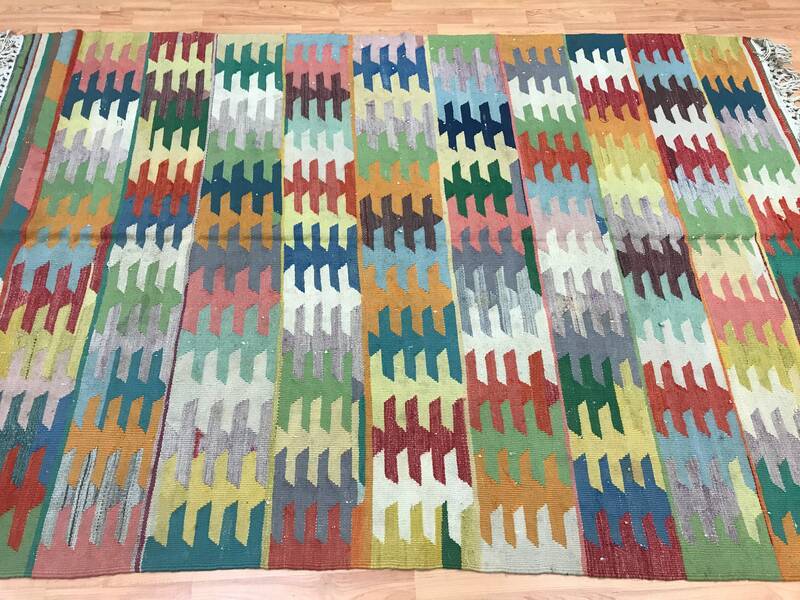 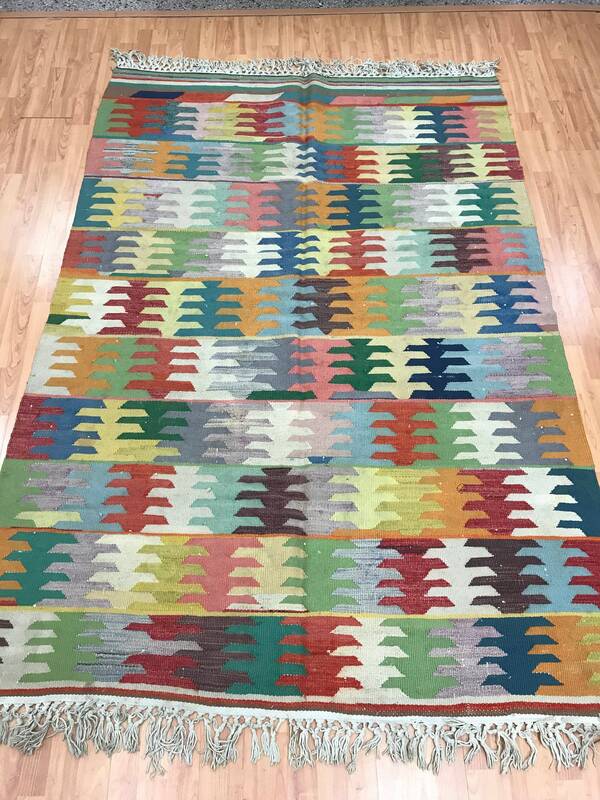 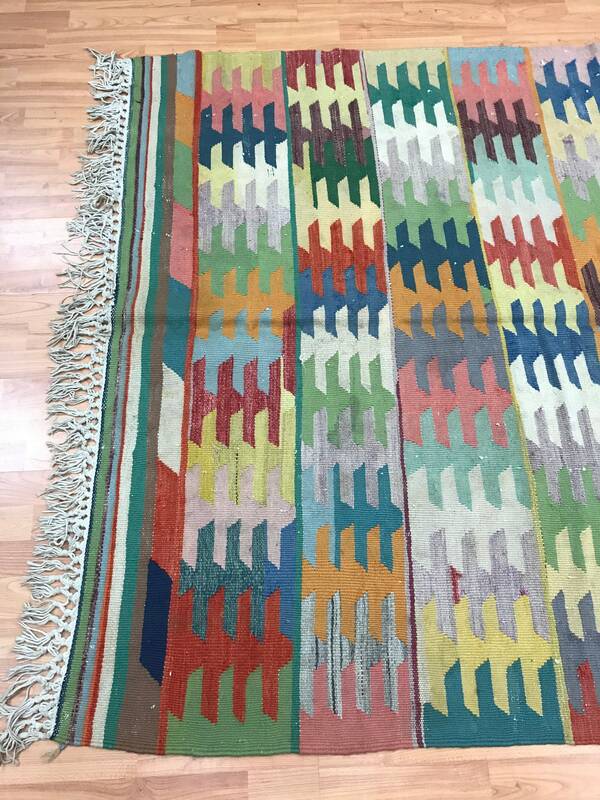 This hand woven Turkish Kilim is made with 100% wool. 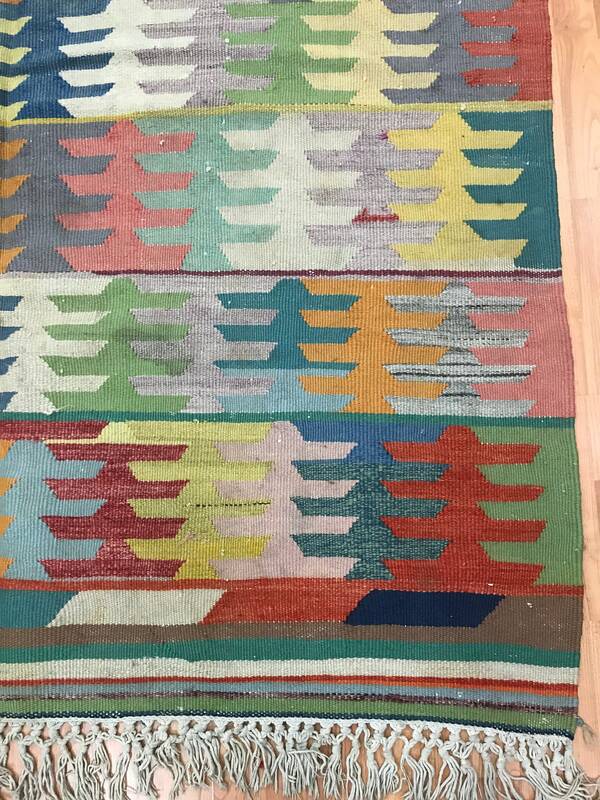 Kilim, a word of Turkish origin, denotes a pile-less textile of many uses produced by one of several flat-weaving techniques that have a common or closely related heritage and are practiced in the geographical area that includes parts of Persia, Turkey, North Africa, the Balkans, the Caucasus, Afghanistan, Pakistan, Central Asia and China. 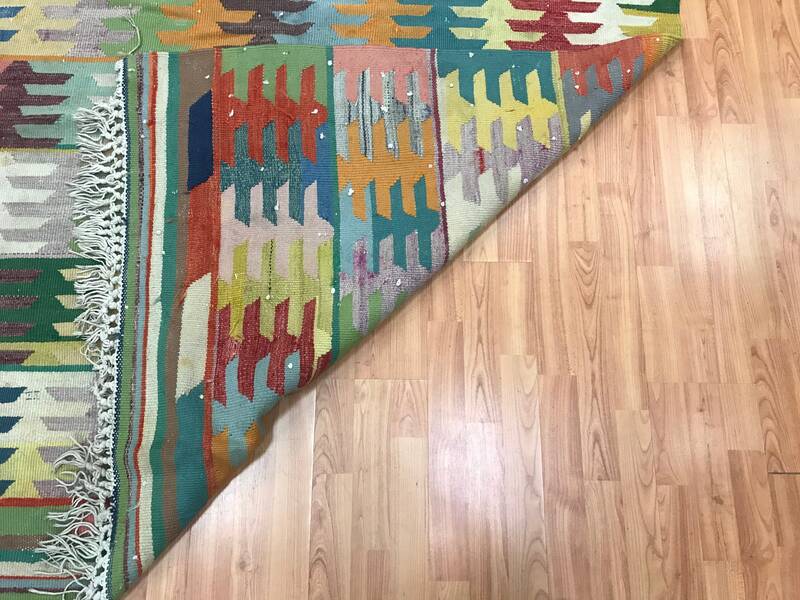 The major difference between a Kilim area rug and a carpet or a pile rug is that whereas the design visible on a pile rugs is made by individual short strands of different color being knotted onto the warps and held together by pressing the wefts tightly, Kilim designs are made by interweaving the variously colored wefts and warps, thus creating what is known as a flat-weave.